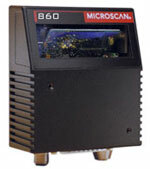 The MS-820 is a compact single-line scanner optimized for reading high density codes. Its small size, robust reading and industrial features have established the MS-820 as the standard bar code scanner on the assembly lines of many large manufacturers. The MS-820’s IP65 enclosure rating makes it ideal for applications such as conveyors, assembly lines or integration within machinery. The MS-860 is adaptable to a wide variety of bar code applications across multiple industries with operators of varying experience levels. Push-button calibration and a full feature set enable you to quickly and easily configure the MS-860, which provides easy scanning of both linear and stacked bar codes. The MS-880 is a heavy duty scanner with the flexibility to solve a multitude of applications under a variety of factory conditions. The extended read range and intelligent sweeping raster provide robust reading of both linear bar codes and stacked symbologies. 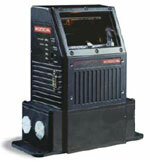 Versatility and rugged design make the MS 880 an ideal scanner for industrial applications. Intermec’s popular EasyCoder 3400 is a medium duty bar code label printer featuring 4” print widths, unlimited print length, and 203 dpi print resolution. The 3400 printer is a popular choice of Intermec customers. The reliability, economical cost, and print features of the EasyCoder 3400 printer are vital to the success of many manufacturing and distribution center businesses.